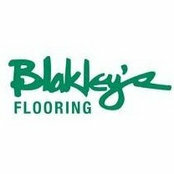 Blakley's is a third generation family-owned business started in 1898 in Indianapolis. The business has evolved and grown dramatically from our early days as a tombstone and monument provider. Our business philosophy, and thus our reputation, has been built on several basic principles: providing a quality product, unsurpassed service, and expert installation; all at a fair price backed by a satisfaction guarantee. It sounds simple, but it takes a lot of hard work and attention to all the details in order to meet and exceed our customer's expectations. We have earned the highest status from the Better Business Bureau and we once again earned Angie's List Super Service Award in 2010. While we are certainly known for our unique, and even exotic assortment of high fashion flooring and cutting edge products, you may not be aware of our huge selection of value-priced basic flooring options. We have flooring to fit any budget with pricing very comparable to even the home improvement stores. Please visit our "Affordable Luxury" link on this site. With design-trained consultants, a large selection of quality products, 100 years of expertise, and affordable pricing...why would you shop anywhere else?